When you have a countertop installed, you have to make countless decisions. From the color to the layout to the backsplash, there are several design elements to consider. One of the most important, however, is choosing an edge profile. An edge profile is the shape the edge of your countertop takes, and the most common styles include bullnose, bevel, and straight. At Affordable Granite & Cabinetry Outlet, we’re proud to supply our customers with a wide range of edge profiles. Need help making the right decision? Contact our remodeling company for help! 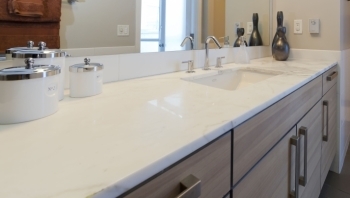 We think that even the edge of your countertop should strongly communicate your home or business’ distinctive style. Besides affecting the aesthetics of your home or business, the edge profile you select can also impact everything from functionality, cleaning, and safety of your new countertops. It is important that you choose wisely, and our remodeling company can help you choose the sleek and stylish edge profile that best fits your needs. For information and advice from our experienced team and to request your free quote, contact Affordable Granite & Cabinetry Outlet today at 845-476-3979 or get in touch with us through our website!